TWRP for Mi 8 (dipper) is now available from an unofficial build and this post guides you how to install TWRP for Mi 8 and ROOT Mi 8 (using TWRP recovery). THIS IS AN INITIAL UNOFFICIALLY BUILD TWRP FOR Mi 8. FLASH AT YOUR OWN RISK. INSTALLING THE TWRP FOR Mi 8 NEEDS AN UNLOCK BOOTLOADER ON YOUR PHONE. ROOTING Mi 8 MAY BRICK THE PHONE. Mi 8 Phone, USB cable and a Windows PC. 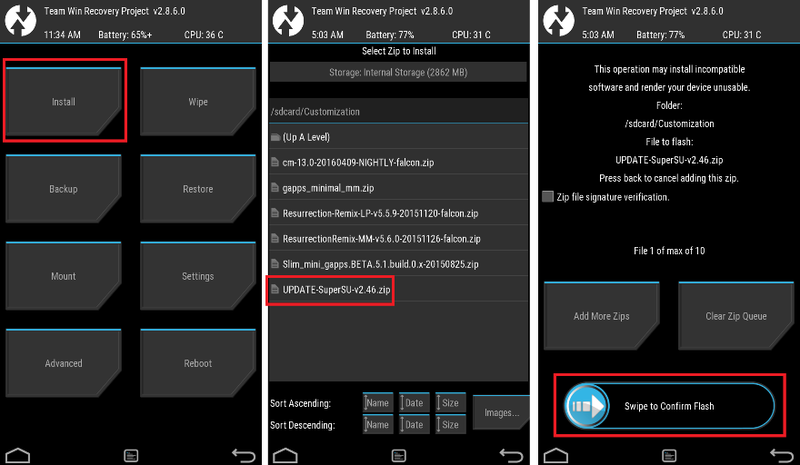 Download and extract the Mi 8 TWRP rar compressed file. Once you have unlocked the bootloader, connect the phone once again to you PC. Double click on the mi8-twrp一键刷入工具.bat file, which will open a command window. Press any key to continue. Press 1 if you the Mi 8 is in power on state. When asked press any key to continue. The TWRP will be flashed automatically on your Mi 8. Once the TWRP is flashed, the phone will be rebooted automatically. Then, on your PC, go to the directory where you have extracted the TWRP recovery for Moto G6 Plus and then open the command console or terminal on this directory on your PC. to put your phone into bootloader mode where you can flash/install TWRP for Mi 8. Wait for the fastboot command to install TWRP for Mi 8 phone. That’s all. You should have the TWRP installed on your Mi 8. 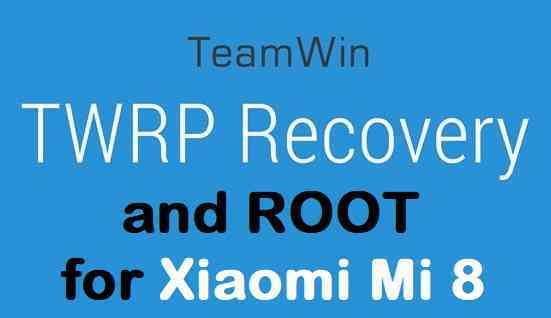 You may now want to ROOT Mi 8 or may want to install some custom ROM or want to explore what else can you do with this TWRP? Head over to the following section to know more. Well, this isn’t it. You can install customized themes, sound mods, Xposed modules etc. after installing the TWRP for Mi 8. Now, if you want to ROOT Mi 8 then below is a step-by-step by guide for the same. Now restart the Mi 8 to boot into TWRP recovery. Flash or install the SuperSU or Magisk zip file for Mi 8, by Sliding the Swipe to Confirm Flash on TWRP screen. Profit!!! You should now have ROOT on Mi 8. How to check if ROOT is enabled on Mi 8 or NOT? If you face any problems on this guide to install TWRP for Mi 8 then, you can login and reply here. Either me or some other user on this forum will revert back to your query as soon as possible. Stay tuned or Subscribe to the Mi 8 (dipper) forum For other Android Custom ROMs, Lineage OS ROMs, and all other device specific topics. and see if it boots. If it does not boot, then try removing the magisk patch.. If it does not boot even after removing magisk, please attach a screenshot so that I can guide you what to do next. I am tracking this topic on priority to help you out. Make sure you take backup before modifying anything on your phone. I had the same problem with Magisk and removing the Magisk patch helped. Trying SuperSU now, hopefully that works. I tried flashing miui 9 global with twrp and it didn’t work. Flashing it with MiFlash however did work, and the phone seems to be fine, connectivity and everything. I really need to take backups though, I’m new to this thing. SuperSU didn’t work when I tried, twrp gave me an error and then it booted my unrooted miui. So I’ll continue trying with magisk. Seems like you need to do something else to the phone before applying magisk as far as I’ve read, but I didn’t really understand. Just have a backup of the current software and also, have a stock firmware image of Mi 8 just in case you need to flash back to get the device back, if something goes wrong. I will search a bit around to see how we can get the root done on Mi 8 by flashing Magisk. There’s a guide (but it’s not in english so I’m not linking it) that says that for magisk “DM verity disabler” needs to be installed. As I said, I don’t know why I have to do that nor if that’s enough. This was the link to the DM verity disabler which I added earlier. Since 4.4, the KitKat version, Android has the Verified boot and the DM-verity kernel feature. On Android version below 7.0 and greater than 4.4, where users were warned about device corruption (if the system or boot partition is modified), but still allowed them to boot their devices. Android 7.0 started strictly enforcing Verified Boot to prevent compromised devices from booting. So what happens when you install the Magisk? – It modifies the system partition to include some scripts, su binary (the ROOT binary file) etc. – While booting the signature of the system image (which is now modified) is calculated and then verified with the earlier stock signature, which will not match now. – The above verification is done by DM-verity security feature of Android. – If you disable this, it won’t check the system integrity and will allow you to boot even if it has been changed. You give it a try and see if you are able to ROOT successfully. First flash the DM-verity disable zip and then flash the Magisk zip file.